Our product range includes a wide range of precision pressed parts, nickel plating disc and textile machinery sheet metal parts. 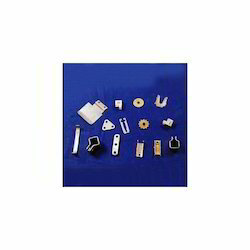 Various types of Precision Pressed Parts offered by us are fabricated from variety of materials like aluminum, copper and brass etc. The range provide fine finishing, durability, reliability, high tensile strength and chemical resistance. These can withstand and work smoothly in high heat, temperature and pressure conditions. The features associated assures smooth functioning and superior performance. 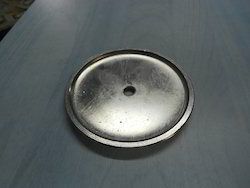 We are known as manufacturer, supplier and exporter of the Nickel Plating Disc. We are offering various type of metal disc as per customer's requirement with required surface finish. It may be used in manufacturing of valve. Our offered products are checked under the direction of quality controllers before supplying in the market. We render the specified solution in accordance with the industry parameters and thus, assure our customers effective results in the end. 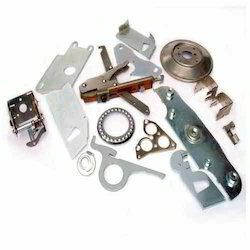 We offer superb quality Textile Machinery Sheet Metal Parts that are made from high carbon alloy steel, harden and tempered to suit high speed applications. These are manufactured by high end features such as low maintenance, high performance and dimensional accuracy. Looking for Precision Engineering Components ?